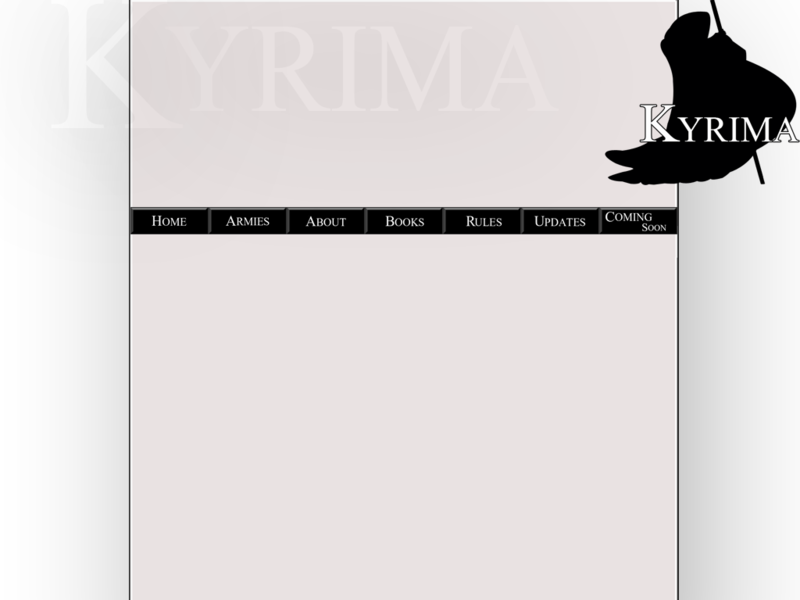 I decided to give Kyrima a place to live on the web, so I have started making a website dedicated to the game. So far I have made the template for the website using photoshop, which you can see below (click picture for a bigger image). This entry was posted on Saturday, June 11th, 2011 at 6:48 pm and is filed under Kyrima. You can follow any responses to this entry through the RSS 2.0 feed. You can leave a response, or trackback from your own site.